RA Diagnosis: What Criteria are used to Diagnose Rheumatoid Arthritis? If a patient is showing early signs and symptoms of RA, a doctor can refer the patient to a rheumatologist – a physician who specializes in arthritis and other diseases of the joints, muscles and bones. The rheumatologist will work with the patient and the patient’s primary care physician to reach a RA diagnosis and provide treatment. Because there is no exact known cause of RA, doctors look at a number of different factors before reaching a diagnosis. To reach a diagnosis, physicians follow a set procedure looking for multiple criteria, rather than one individual test. This includes examining physical symptoms, looking at family and personal medical history, and performing blood and other diagnostic tests (like x-rays or CT scans). Some cases may be easier to diagnose than others, especially in the early stages of developing symptoms when symptoms may be less clear. Doctors work hard to ensure they’ve looked at all possibilities and that their examination and testing results are consistent with most cases of RA. If these symptoms have been present for more than six consecutive weeks, doctors may consider these as symptoms specific to RA as opposed to other types of arthritis, like osteoarthritis. Doctors may also look for and ask about symptoms like fatigue, low-grade fever, loss of appetite, and even feelings of depression and malaise. A full physical examination helps doctors find these symptoms and look at joints for tenderness, swelling, soreness, warmth, and redness. They will ask about difficulties moving joints and decreases in range of motion. Symptoms may come and go but typically, they do not. They remain noticeable and possibly progressive. The patient’s medical history and family history are important factors in helping to reach a RA diagnosis. Studies have shown that the average risk of someone in the general population developing RA is about 1%. However, if there is a family history of the disease, the risk of another family member developing RA increases. Depending on each patient’s unique set of answers, it can help doctors identify factors that lead to a RA diagnosis. Rheumatoid factor is a type of antibody found in the majority of RA patients. If a patient tests positive for rheumatoid factor it helps to reach a diagnosis, but its presence doesn’t confirm it. Many patients with other autoimmune disorders and inflammatory conditions test positive for rheumatoid factor but don’t have rheumatoid arthritis. If a patient tests positive for anti-CCP this is a strong indicator of RA. The anti-CCP antibodies can exist in a person’s system long before they ever exhibit symptoms of RA. ESR and CRP are tests that doctors use to measure the level of inflammation in a patient’s joints. If a person indicates a certain level of inflammation and exhibits symptoms of RA, this becomes another very strong indicator of a possible RA diagnosis. When a patient has strong and clear symptoms of RA, a doctor may also order a series of imaging scans. These include x-rays, CTs, MRIs, and possibly ultrasounds. In these imaging scans, doctors look for signs of joint damage. Bone and cartilage erosion as well as narrowing joint spaces can be signs of RA. 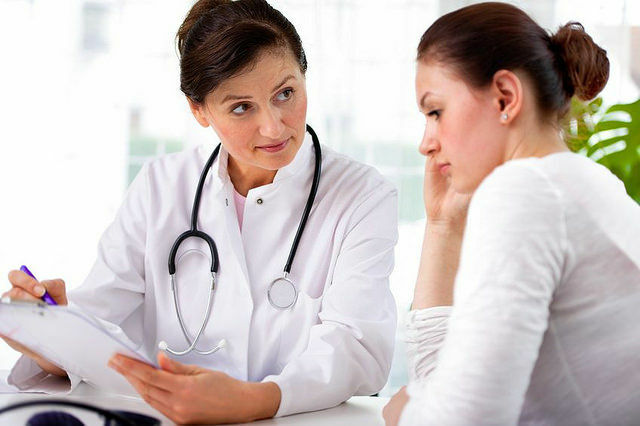 Once all of these steps have been conducted, doctors will look at all of the test results and reach a conclusion based on the overall picture. Some doctors take a more symptom based approach to diagnosing RA while others rely on blood tests and medical history to confirm a RA diagnosis. This is why it’s possible to be diagnosed with RA but not test positive for antibodies or have a medical history of RA in your family. If the symptoms themselves are consistent with RA, then it can still be diagnosed. That being said, the main criteria for diagnosing RA do not change. The patient must exhibit symptoms for greater than six weeks, symmetrical symptoms, as well as multiple joints being affected including fingers and hands. If a patient displays all the symptoms of RA and tests positive for antibodies then they can be diagnosed with seropositive RA. However, if a patient displays all the symptoms of RA, but doesn’t test positive for antibodies, the doctors can make a seronegative RA diagnosis. Read more about the types of rheumatoid arthritis here. Due to the ambiguous nature of many RA diagnoses, researchers are continually looking for links and similarities between disease symptoms and patients’ genetics and medical histories. While diagnosing RA is difficult and can be complicated, the most important thing is to detect symptoms early and begin treatment as soon as possible.